We are talking about international fraternities, composed of friars from all over the world: it was friar Hermann Schalück, then Minister General OFM, visiting Bartholomew I, who had the insight in 1995 of an international Franciscan presence. In the following years the first fraternity for ecumenical and interreligious dialogue in Istanbul was formed. This bears witness to the Gospel way of life by promoting ecumenical and interreligious dialogue, living in communion with the local Church and offering a permanent formation service to the Order. After twelve years, the project developed and the second fraternity was born. "The dimension of evangelization - explain the Franciscans in Istanbul - is primarily lived in the development of ecumenical and interreligious dialogue. Among the various annual activities, there are: the Week of Prayer for Christian Unity, exchange and visits to Muslims brothers during Ramadan, a permanent formation course on ecumenical and interreligious dialogue, which has reached its 12th edition (the one in 2016 will be held in Istanbul from October 13 to 28), an interfaith prayer meeting in the spirit of Assisi, as well as various activities in the local Church". 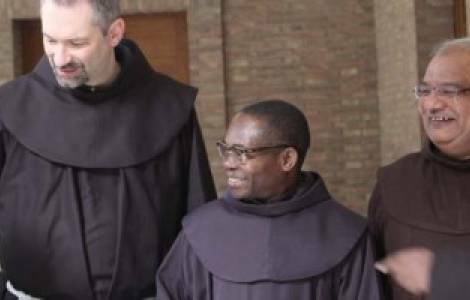 ASIA/PHILIPPINES - Filipino youth at WYD to "enrich their faith"